Kitten season is fast approaching and once spring arrives we will start to see more and more kittens come through our doors. Sadly, these kittens will be coming into a world where there are already countless unwanted and homeless felines living on the street or waiting for a home in the care of over-stretched shelters. 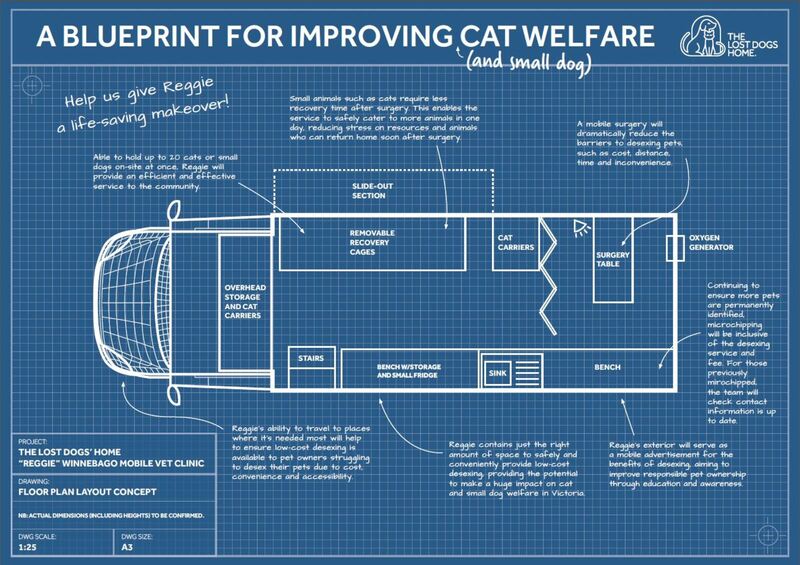 One way we are aiming to reduce the number of homeless and unwanted cats is through low-cost desexing. In April we called out to you to help us get our mobile desexing van on the road. A fully-equipped, professional mobile vet surgery, the van will bring low-cost desexing services to hundreds of cat and small dog owners across Victoria. We were thrilled to receive a grant from the Department of Environment and Primary Industries to kick started the project in 2014, but, we still needed funding to cover the cost of the surgical and medical equipment needed to perform these desexing surgeries. 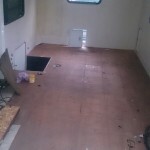 Thanks to your support we have now reached our fundraising goal and work to construct our mobile desexing van has begun! 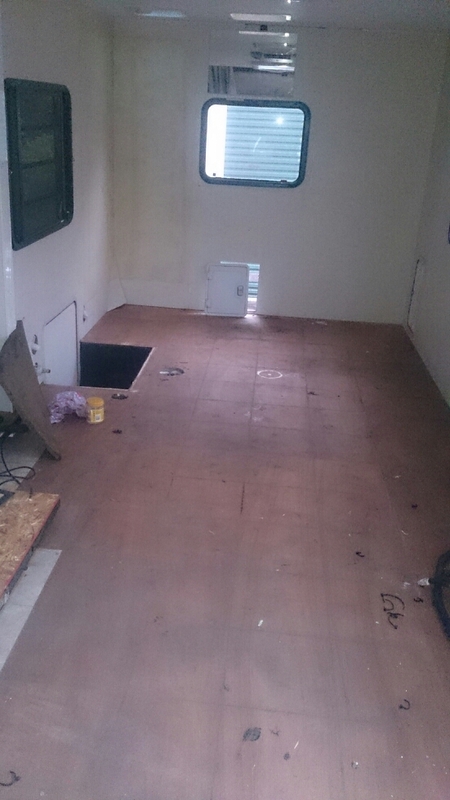 Now we have reached our goal work has started on transforming our microchipping van, affectionately known as Reggie, into a vet surgery on wheels. 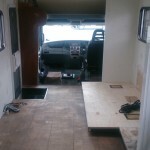 So far Reggie’s old interior has been removed and work to install a new floor is underway. Once the floor is installed work will begin on fitting Reggie out with the equipment needed to undertake desexing surgeries throughout Australia. Over the coming months we will keep you updated on Reggie’s progress and provide you with more information on the Home’s low-cost desexing initiative. Looking to desex your pet sooner than later? Then you should consider desexing your beloved pet during National Desexing Month. Until 31 July, The Lost Dogs’ Home Frank Samways Veterinary Clinic is offering heavily discounted desexing to pet owners who present a concession, pension or health care card at the time of booking. Even if your pet is desexed, spread the word. You never know, you might have a friend or family member who can benefit from this offer. With just over a week to go before this offer expires, there are still a number of desexing surgeries available. However, bookings are essential. To make a booking, contact the Frank Samways Veterinary Clinic on (03) 9329 2755 or come into the clinic at 1 Boundary Road, North Melbourne. To receive the offer, make sure you mention the National Desexing Month offer at the time of booking.